This property boasts a traditional farmhouse dating back to the 1800's with 134 rolling acres of pastures and trails to enjoy. 2 decks and a covered porch to take in the beautiful surroundings. Newly updated kitchen and butlers pantry with a large island. Formal dining room. 9' ceilings throughout the first floor! 4 generously size bedrooms. New furnace and A/C. Newly updated bath. New well with reverse osmosis filtration system and a springhouse if you choose to use. Amish built shed, 2 car ports with large workshop. Working barn suitable for livestock or whatever your hobby may be. Perfect for the serious farmer to the weekend retreat. So much to offer. A must see! Directions: Rt. 376 to Brighton exit towards Tuscarawas Rd. R on Tuscarawas Rd. R on Lisbon Rd. R on Old Blackhawk Rd. R on McCloy Rd. I was searching for a Property and found this listing (MLS #1371234). 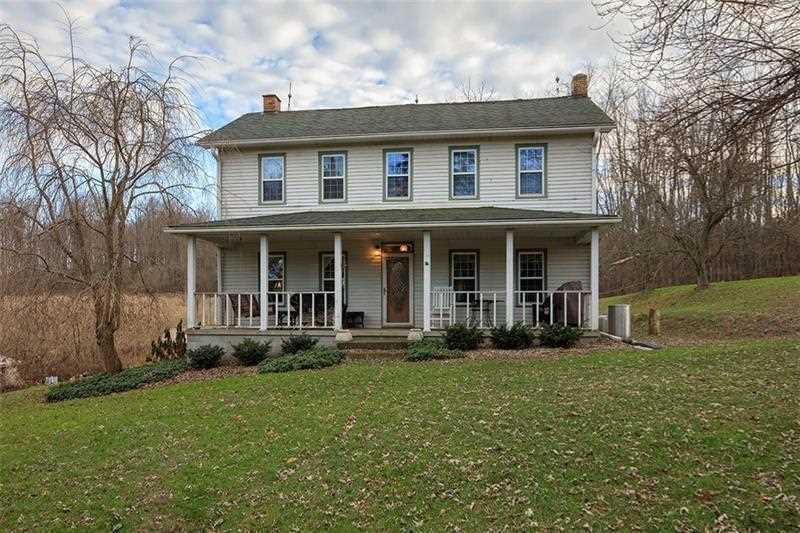 I would like to schedule a showing for 174 Mccloy Road Beaver Falls, PA 15010. Thank you! I was searching for a Property and found this listing (MLS #1371234). Please send me more information regarding 174 Mccloy Road Beaver Falls, PA 15010. Thank you! MLS # 1371234: This property at 174 Mccloy Road, Beaver Falls, PA 15010 is located in the subdivision and is listed for $649,900. MLS # 1371234 has been on the market for 148 days.